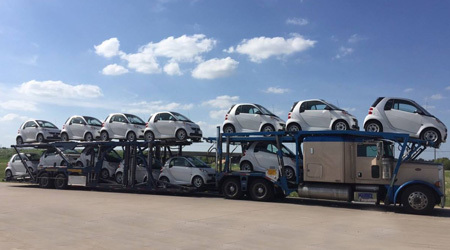 David owns a car hauling business and came to Indian Ink to get financing for an oversized car hauler so he could haul more cars on each load. We secured financing for David and helped him get the car hauler he needed to maximize his hauling potential. This is a picture of David hauling a load with 13 cars on his new trailer. His goal is to try and fit 15 cars on the next haul! 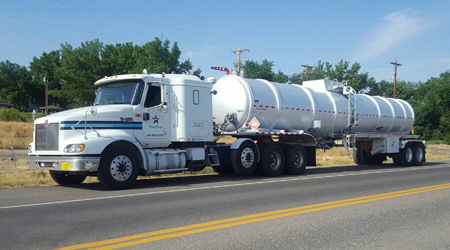 Charles Hanks is a trucker that hauls crude oil from Bloomfield, NM to Woods Cross, UT. Charles came to us thru a mutual customer, Southwest Truck & Trailer. Charles is leasing a 2013 Troxell crude oil tanker trailer from Southwest Truck & Trailer and we are simply servicing his deal. Charles was extremely grateful for us helping him and says his new trailer helps him generate more income for his business.